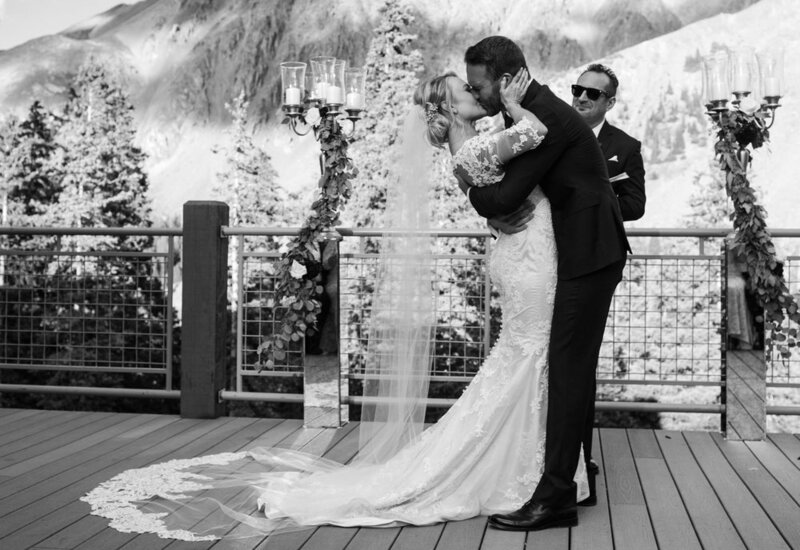 We truly mean it when we say that Ashleigh is one of the sweetest brides we have ever worked with and we are so happy that we get to share these amazing photos of her perfect wedding today! 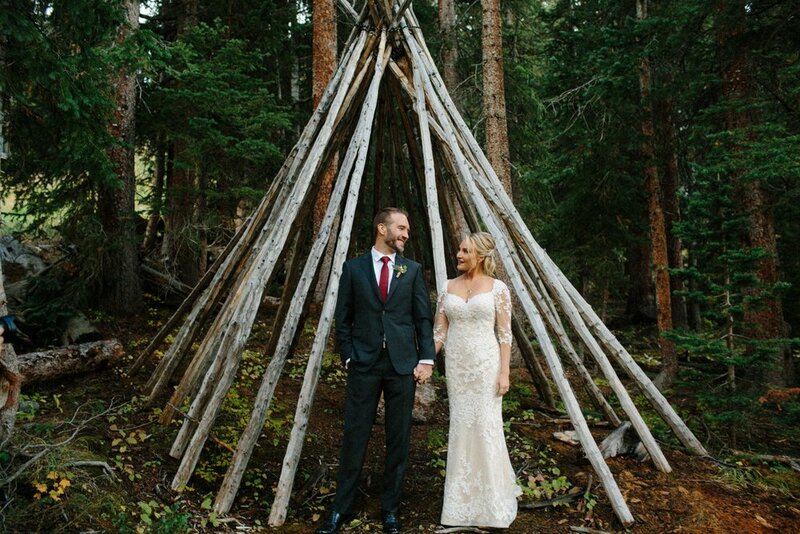 Ashleigh and Rick said I do at the Black Mountain Lodge in A-Basin on a picture-perfect day in early September. 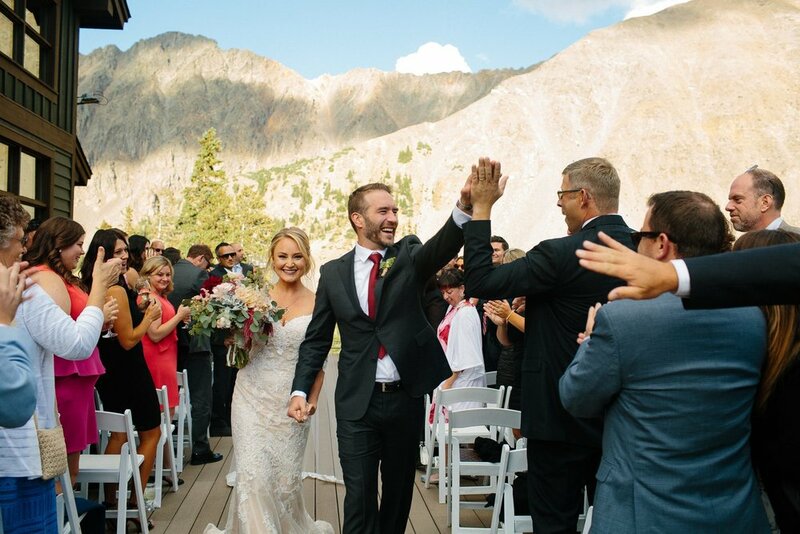 They had a one-of-a-kind scenery and we just love that they went on a ski-lift ride right after their ceremony to enjoy these first couple minutes as a married couple. Ashleigh visited us for our Matthew Christopher trunk show in March and fell in love with "Kingsley". 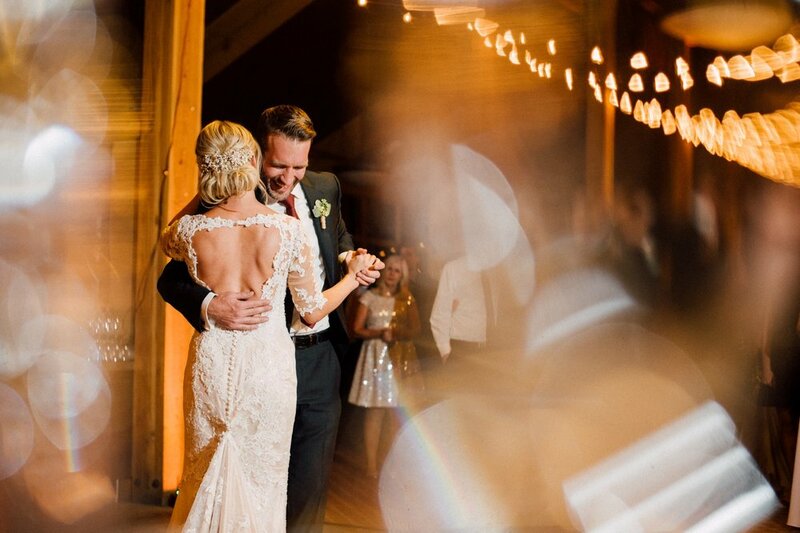 A sweetheart neckline, three-quarter sleeves, a beautiful keyhole back, and hand-beaded lace details - this stunning gown makes dreams come true. As if the gown was not already beautiful enough Ashleigh ordered extra Kingsley lace for a custom made veil from Love Veils! A Twigs & Honey headpiece completed her wedding day look which was absolutely perfect! 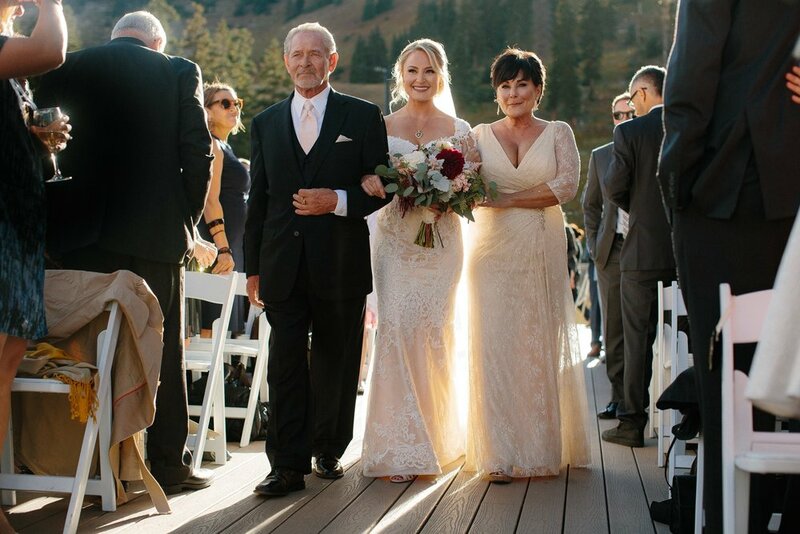 We feel so honored that we got to be part of Ashleigh's wedding day and wish her and Rick a future full of laughter and love. Thanks to the amazingly talented Caroline Colvin Photography for sharing these photos with us!